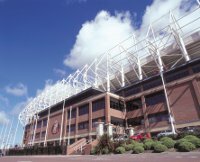 Sunderland AFC's Stadium of Light will be delighting champagne lovers from across the North East with a special event held at the venue on Friday, 9th May. The venue will be hosting an evening dedicated to the world-famous bubbly, pairing a selection of champagnes with the finest food from around the world. SAFC’s catering and hospitality arm, 1879 Events Management, will be provding a five-course feast beginning with tempura chicken strips, rolled in sesame seeds with a lime and ginger dressing and a Chinese duck spring roll, served with spring onion and cucumber julienne and a sweet plum sauce. For the main course guests will be served marinated lamb loin on a bed of puy lentils drizzled with a mint hollandaise sauce and served with a side of mash, roast vegetables and a rich port wine sauce. Dessert will be presented in two stages, with an apple beignet and vanilla ice cream, followed by a selection of cheese and biscuits, served with celery, grapes and fruit chutney. Each dish will be accompanied by a different Champagne, specifically chosen to complement the unique flavours and fresh, locally-sourced ingredients. Tickets for the Champagne Gourmet Evening at the Stadium of Light are priced at £54.50 per person, including canapés on arrival. A 10% discount is available for SAFC season card holders. The Sunderland Stadium of Light boasts some of the North-East's finest conference, banqueting and events facilities, providing the perfect venue for any event. The venue has suites to accommodate anywhere from 1:1 meetings to conferences for 600 people.